There are no problems with this format. It is a given that repetition and focus are essential for achievement – preparation leads to results. However, in the world and workplace our youth is preparing for, everything changes and will change rapidly. We know, basically, what will be on an AP chemistry exam, but we have no way to predict what a given career will look like in a decade. We just know that it will be very different. What is at play here is an economic concept called Creative Destruction, which is “the principle that, in a free market, innovation creates new businesses at the expense of old.” (Kernen p. 24) New products or ideas build on and improve what came before making the original obsolete. The buggy was made obsolete by the automobile, chemical photography by digital, and pay phones (which many youth may never have seen!) by cell phones. We see in economic systems an example that, as our nation and our world progress, change and improvement are not just inevitable - they are critical to remain effective. In fact, creative destruction means that development and advancement in any field are required not only to be competitive but also to be viable and to simply exist. As productive people, we are required to do the same. Ask anyone my age who attended a highly selective college if they think they would be admitted today – most will say they doubt it and the others are likely uninformed. The standards and competitiveness have gotten higher and higher. Each generation is required to excel at a higher level in an increasingly complex environment. When we think about the significant changes that education, technology and globalization have brought and couple them with the concept of creative destruction, it is easy to begin to ask ourselves how much we need to change to keep up. In an era accelerating and advancing faster and faster, everyone needs to learn constantly, adapt quickly and move forward. But most people have a desire or perhaps a reactionary impulse to keep change at bay – to remain comfortable in what we know and what we do. Unconsciously, we work toward a state of homeostasis and in doing so, inertia takes over. We sometimes hope for change or understand that it is required. “Yet at the core we remain conservative creatures... with a preference for predictability. We have a deep impulse to preserve continuity and familiarity in life.” (Evans p. 41) But it is my contention that none of us has that luxury any more. We all need to develop what is known as a “growth mindset,” the belief that our intelligences and abilities are not fixed but can be developed and expanded through dedication and hard work. Mindset is a simple concept discovered by Stanford psychologist, Carol Dweck, and she contrasts fixed mindset, which is static, with a growth mindset. Dweck researched achievement and success in business, education and sports, and found that great accomplishment is not the result of simple, natural abilities. Great things are accomplished by people with a growth mindset perspective that creates both a love for learning and a resilience to set-back, hardship or failure. For example, we often hear people say, “I’m just not good at math.” That statement is fixed – the learner acquiesces responsibility for the result because “if I’m not good at math, there isn’t anything I can do.” “It isn’t my fault – it is ability.” Someone with a growth mindset would say, “I don’t understand everything right now, but I’ll take the next step to improve my knowledge and keep improving.” Hard work and consistent effort are essential as I indicated earlier, but in Dweck’s view this isn’t enough. The learner cannot say, “I worked really hard, so I was successful.” A growth mindset asks what can be done in the next step to reach optimal performance. To put it another way, remember, Steph Curry doesn’t just shoot 500 times each day, which would be hard work, he makes 500 shots each day. As we approach problems or hurdles, we need to try new strategies and seek input and ideas until we get it right. By doing this consistently in the face of setbacks or higher standards, Dweck has found that the people with a growth mindset actually get better at pushing through obstacles and striving to excel. It’s like training the muscles of your brain and determination. We all will continue to face the challenge of creative destruction so we must challenge ourselves to have a growth mindset as we approach our studies and our careers. We need to work hard to overcome the discomfort of change and develop the skills to be successful in college and beyond. Joe Kernen: Your Teacher Said What?! 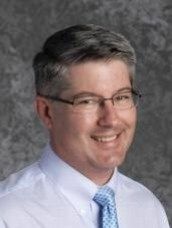 John Elmore has been a teacher, college counselor and administrator in independent schools in New York, NY, Grosse Pointe, MI, and Midland, TX. Before joining O’Neal in 2013, John was Head of Upper School and Director of Studies at Greens Farms Academy in Westport, CT. He holds a bachelor's degree in biology from Grinnell College and a master's degree in religion and ethics from Yale University.